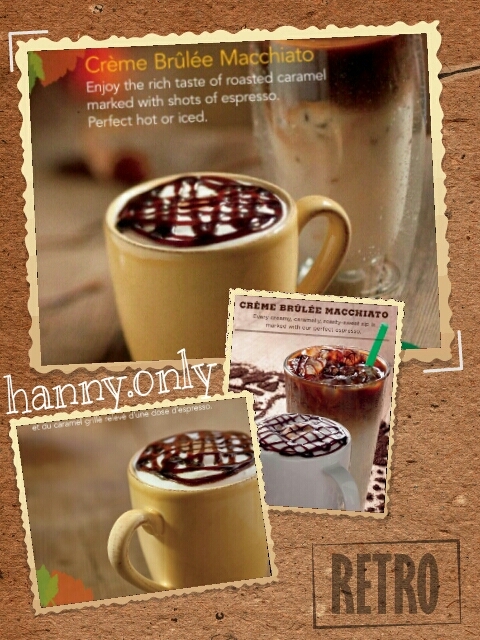 hanny.only: Asian Dolce Latte.. another Ahhhh!! moment from Starbucks..
Asian Dolce Latte.. another Ahhhh!! moment from Starbucks..
now that my pregnancy is already entered the third trimester, i got some good news.. errr for myself to be exact..
now that i'm on my last trimester and the baby as healthy as rocks!! 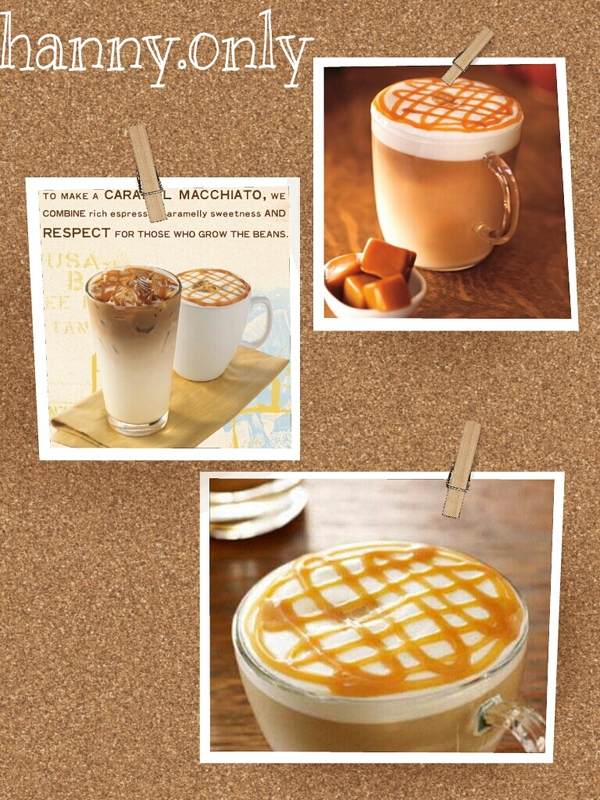 my hubby allow me to drink my fave coffee at starbucks which is caramel machiatto..
but well well well.. something intriguing my gut.. the new Asian Dolce Latte.. with appearance quiet similar like the machiatto, i hope i'd be surprised as when starbucks released creme brulle machiatto few moments ago (please bring it back to me soon!!!).. so back to the Asian Dolce latte..
i asked the nice barista what is the difference, she said this beverage use more shots of espresso (yummm) and dolce syrup.. and no caramel syrup..
i ordered venti size (IDR 44k) and i got 4 shots of espresso.. can you feel the slap!!! 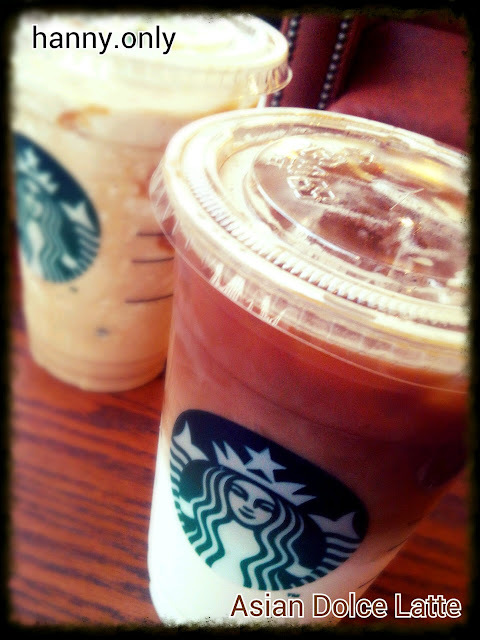 LOL..
and the taste was pretty ordinary.. like drinking coffee latte.. i couldn't feel what the dolce syrup tasted like.. just like simple sugar for me.. ^_^ well maybe my taste bud were numb..
and my conclusion is, i still love my baby machiatto.. coz the caramel is a BOMB.. you can just add extra shots of espresso on your caramel machiatto for i guess 5K each shots..
so, CARL MAC is still the winner..
and of course the baby creme brulee.. all the goodness and top it off with a lil bit of rhum shot..